Kung Fu movies are great but they're all very similar. Actually, that can be said of nearly every genre. Clichés and familiar patterns will always emerge and eventually they become part of what we expect to see when watching a movie of a particular genre. Kung Fu movies are often set in the 19th Century (if not earlier) and involve a power hungry lord as a villain. Alternatively, they’re set in the present day and involve some sort of crime lord as the villain. The hero defends the people against the villain and what makes the movie good or standout from the rest of Kung Fu films is the performance by the actors or anything additional to the Kung Fu formula. Additions often include humour, drama or romance but mostly, what fans of martial arts film really want to see is the action choreography. While Jackie Chan has made his career by combining death defying stunts, impressive fight scenes and humour. They’ve become staples of the kind of movies Chan stars in. When he did some of his more serious movies, such as Crime Story or Gorgeous, they instantly stand out because they don’t use his regular bag of tricks. This particular movie, Ip Man, starring Donnie Yen, uses historical, specifically wartime, drama along with biographical elements to add that something extra to the story. The movie takes place in and around the town of Foshan and focuses on the life of legendary Wing Chun master, Yip Man (the movie’s title uses another known spelling, Ip Man). Foshan is a town known and celebrate for its martial arts schools and in this town, no master is better known or more respected that Ip Man. 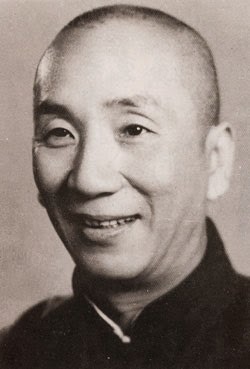 Despite being the grandmaster of Foshan, Ip Man’s wealth allows him not to have to take on any students. Instead, he recommends that people seek tutelage at one of the many other schools. The movie, along with Yen’s understated performance, informs the viewer that he does this out of respect for the other masters. He doesn’t want to take away from there livelihoods. Still, Ip Man is very busy and seldom has the time to relax with his family. Once the movie has setup the day to day reality of Foshan, including early action sequences in which a ruffian comes to town determined to take on the master of martial arts to show off his own skills in the hopes of opening a school, the wartime drama kicks in. The Japanese invade China, it’s the Sino-Japanese War and the once prosperous town of Foshan is under enemy rule. 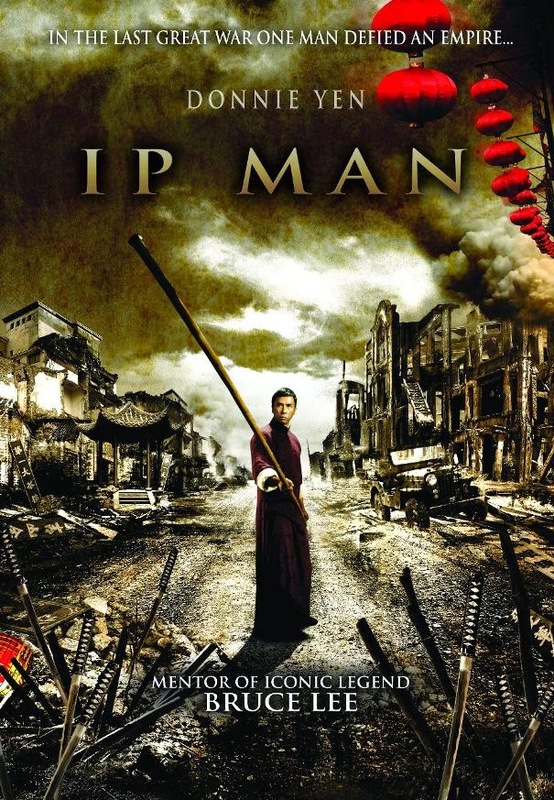 Ip Man and his family now live in poverty and he’s force to take on employment at a coal mine. Not making enough money at the mine, Ip Man agrees to fight Japanese martial artists to win rice. A Japanese general is a martial arts enthusiast and knowing the reputation of Fosha, he offers a bag of rice to any local who can beat one of his Japanese students in a fight. It’s a very difficult time for the Chinese but through perseverance, national pride and a duty to protect his family, Ip Man is able to maintain focus and survive the war. The story can get pretty bleak, especially when Ip Man’s fame as a martial arts master threatens to put his family in harm’s way. It’s interesting to see Ip Man’s progression from pre-war to wartime. Before the war he’s calm, composed and there is hint of youthful glee in his eye when discussing Wing Chun. Later, when fighting the Japanese martial artists he’s angered by the cruelty they display towards his fellow countrymen. He reciprocates by challenging all of the general’s fighters and the result is a brutal and somewhat frightening show of force from Ip who so far has been characterized by his strong spirit, respectful nature and calm demeanour. The fight is an excessive show of brutally after which many of the Japanese men are undoubtedly crippled for life. From calm and relaxed to violent and cruel, it’s jarring to see how the war has affected the grandmaster of Foshan. But his transformation isn’t out of character. It was pretty clearly established earlier in the film that one of the reasons he’s respected in town is because he protects those that need his protection. He protected the integrity of the other Kung Fu master when the ruffians came to town and now he’s protecting his countrymen and his family against the Japanese general and his men. Ip Man has more story than most Kung Fu movies. Fans of more typical martial arts movies might actually find the story to be a bit slow despite early action sequences, the focus is on Ip Man and how he had to change as a person in order to survive the war. I think it’s interesting that for a movie based on a real man (legendary Wing Chun master who helped to popularize the fighting style and trained now-famous students such as movie start Bruce Lee) that the movie only focuses on a small part of Ip Man’s life. The story begins shortly before the war and ends with Ip Man escaping Foshan with his wife and child. Really, it’s a drama film with some Kung Fu but the movie works well because it treats the dramatic elements and the action elements with equal importance. It makes for a solid film all around. There are also a couple side stories that help to round out the story of Foshan and its residents. The real highlight of the movie though is Donnie Yen, as an actor and as a martial artist. His understated performance early on and his surprising brutality later on perfectly demonstrate the internal and external struggles of the man. You’d be hard pressed to find a Kung Fu movie that so effectively juggles as much as Ip Man does. It’s a modern classic of the genre.